From the author of The Jewel of Medina, a moving and insightful novel based on the life of legendary performer and activist Josephine Baker, perfect for fans of The Paris Wife and Hidden Figures. 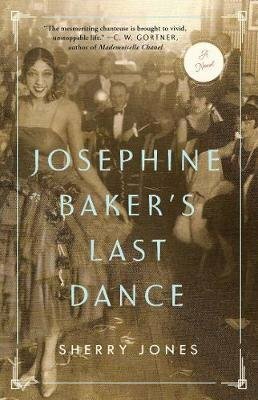 Discover the fascinating and singular life story of Josephine Baker--actress, singer, dancer, Civil Rights activist, member of the French Resistance during WWII, and a woman dedicated to erasing prejudice and creating a more equitable world--in Josephine Baker's Last Dance. In this illuminating biographical novel, Sherry Jones brings to life Josephine's early years in servitude and poverty in America, her rise to fame as a showgirl in her famous banana skirt, her activism against discrimination, and her many loves and losses. From 1920s Paris to 1960s Washington, to her final, triumphant performance, one of the most extraordinary lives of the twentieth century comes to stunning life on the page. With intimate prose and comprehensive research, Sherry Jones brings this remarkable and compelling public figure into focus for the first time in a joyous celebration of a life lived in technicolor, a powerful woman who continues to inspire today.